For luxury and excellence Viscose woven scarves are unequaled. 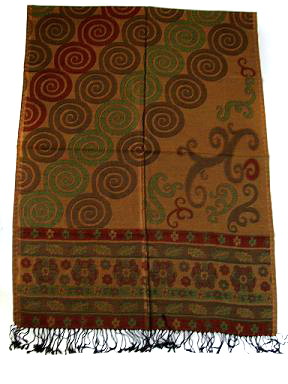 Appropriate for both evening and daytime occasions these scarves reflect perfect synchronous of tradition and modernity. Our array of viscose woven scarves are completely warm giving full coziness in winters. We bring for our valued customers the exclusive brands of viscose lycra scarves made from best quality of lycra. We have huge range of viscose lycra scarves with embroidery and even without it. The elegant design pep up the look on any occasion. Who is more fashionable than women. Our range of viscose scarves for women are especially designed keeping in mind the taste of changing fashion world. These scarves are perfect for any occasion be it formal or casual. Our collection of women scarves’s are increased the personality of the wearer. These scarves are extra soft and elegant in look. Here we are introducing our range of multicolored check shawls which are made for both girls and boys. These unisex check shawls are made with pure silk and pure pashmina fiber. 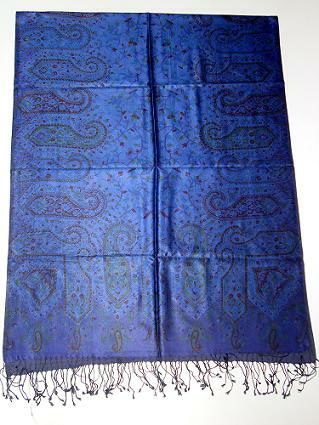 Our silk pashmina shawls are highly praised by our domestic and international buyers. 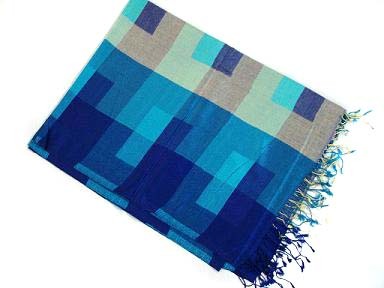 We are one of the leading exporters and manufacturer of viscose shawls. We are making each and every concept in it like viscose jamawar shawls, viscose pashmina shawls, viscose embroidery shawls, evening viscose shawls, print viscose shawls, digital print shawls etc. We are using high quality dyes and softer which gives good feel to the wearer with eye catching designs. 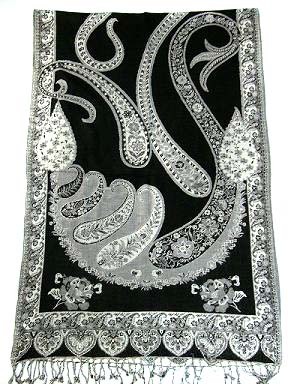 Our range of viscose lycra shawls are highly praised by domestic and international buyer because of its soft Finnish and some additional work on it which includes hand embroidery, beads and sequence work on lycra shawls. We have wide range, designs, color matching in viscose lycra shawls. Every body want to wear geometrical and abstract designs in fashion accessories because it gives designer look to the wearer. These designs are always in demand and mostly youngsters buy these abstract shawls for their wardrobe. 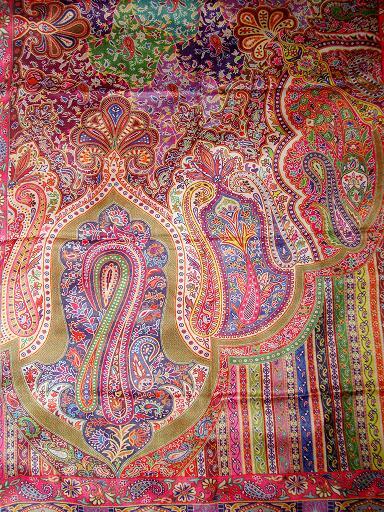 Ganpati Fashions & Girisha Textiles are renowned manufacturer and exporters of viscose shawls. Our company is located in Amritsar (Punjab) India. Our wide range of fancy viscose shawls includes embroidery viscose shawls, viscose sequence shawls, viscose with tassels work etc. 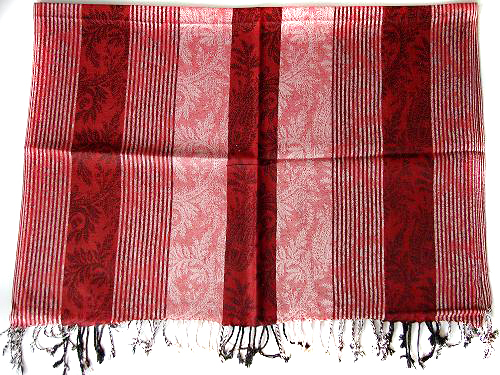 Our viscose shawls are highly in demand by our customers due its soft finishing and fancy in look. 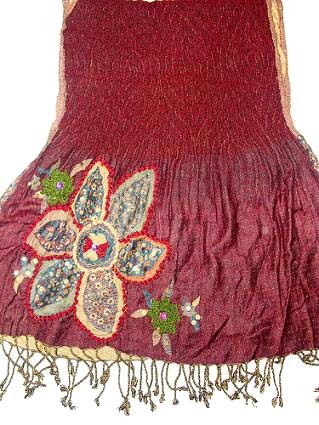 Cut-work shawls are counted as handcrafted product as people cut the yarns from the back side after weaving the shawls and make it light weight fashion accessory for shawls lovers. 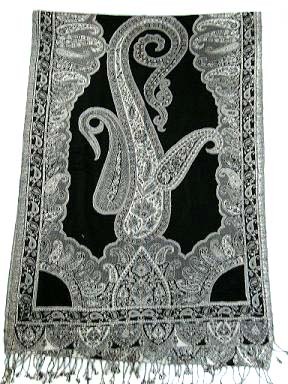 We are offering wide range of viscose cut-work shawls in fancy designs, color matching as well as hand embroidery viscose shawls in cut-work concept. 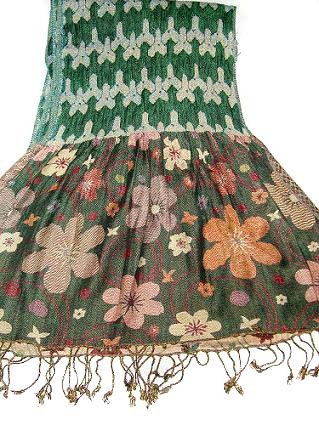 As the name suggest floral viscose shawls have floral pattern on it. 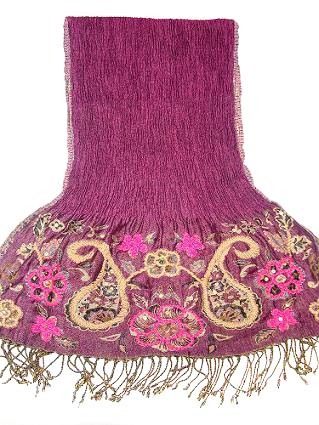 These shawls provide refreshing look to the wearer and eye catching designs. Our floral viscose shawls are coming in manual print, digital print viscose shawls and woven viscose shawls with maximum designs and color matching. We can print the designs as per our buyer’s requirement. Splendidly fashioned Evening viscose wraps and shawls are perfect wrap for any occasion. These shawls are gentle and cozy. These wraps are affordable and that is why becomes the top priority of every fashion loving person. Digital printing is the most favorite print among youth these days. These print covers all the designs and trends making the shawl most demanded. 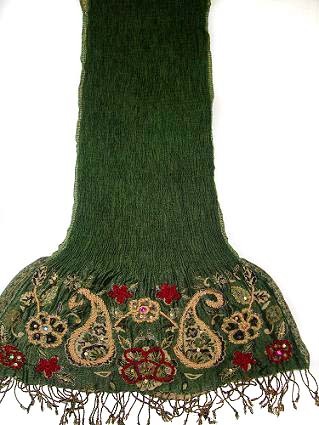 these shawls are classy in look and is top in list of fashion loving people.